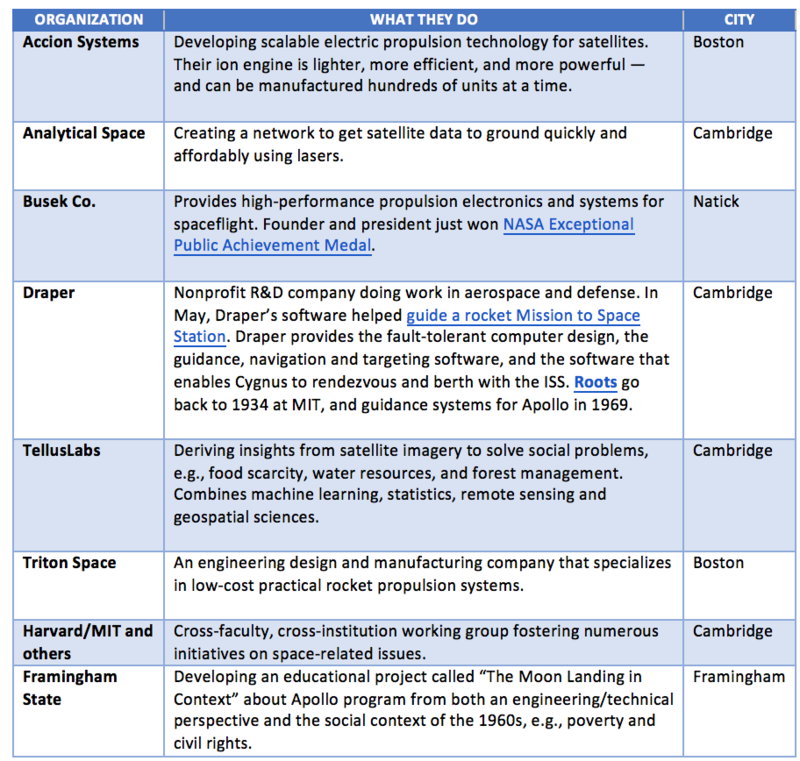 Hiawatha Bray, a columnist for the Boston Globe, recently wrote an eye-opening article about entrepreneurial space companies in New England. According to Bray, New England, which has been on the leading edge of the computer and biotech revolutions, is starting to seize on another big opportunity: the explosion of interest by private enterprise in space exploration and development. Long the province of government agencies, space has become a hot destination for venture capital investment and a Morgan Stanley report estimated that “NewSpace” could grow into a trillion-dollar industry. While NewSpace is, well, new and these estimates may be high, real economic opportunities already exist beyond the Earth’s atmosphere. 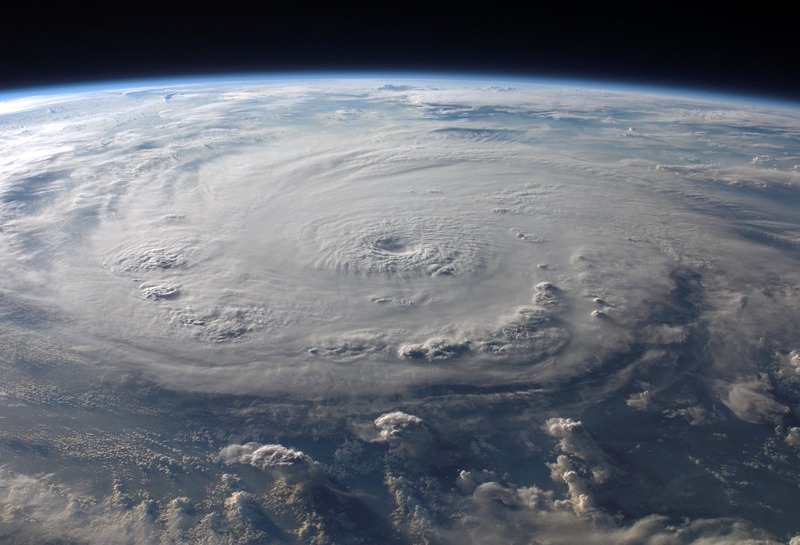 As satellites have shrunk in size and launch costs have plummeted, this segment is powering the revolution, providing services from crop monitoring to humanitarian assistance, weather forecasting to maritime navigation. Like the computer industry in the 1980s and 1990s, space commerce has moved out of the government domain into the realm of eager entrepreneurs, bringing with it benefits for terrestrial industries and consumers alike. Other cities, regions, and states have openly grasped the implications of these developments and put out the welcome mat for space commerce companies. So why is it that New England is not seen as a regional leader in the field? In fact, there may be more going on than meets the eye. For example, Bray points to a number of small companies, some new and some mature that are vigorously pursuing space-related ventures. In addition, a group of faculty, staff, and students at Harvard, MIT, and other institutions are promoting an effort to establish an interfaculty initiative on space exploration and development for the two institutions. Just outside of Boston, Framingham State University (FSU) is home to the Christa McAuliffe Center for Integrative Science Learning, established in the aftermath of the space shuttle Challenger explosion to honor the FSU alumna. Director Irene Porro also leads the MetroWest STEM Education Network (MSEN) which is dedicated to promoting quality education and career pathways in science, technology, engineering, and mathematics in the MetroWest region. At MIT, Amherst and Harvard graduate and former astronaut Jeff Hoffman manages the Massachusetts Space Grant Consortium (MASGC). To further the development of space science and space engineering opportunities, MASGC funds a multi-disciplinary educational program. It is one of 52 Space Consortia established by NASA under the National Space Grant College and Fellowship Program created by Congress in 1987. However, the activity is, to a large extent, under the surface compared with, say, the hotbed of effort in New York City, which is being stoked by the New York Space Alliance (NYSA). Led by entrepreneur and Columbia University faculty member Sidney Nakahodo, NYSA promotes entrepreneurial space ventures by tapping the New York financial, business, academic and creative communities. As an entity that bridges the gap between the public sector, corporations, and NewSpace ventures, NYSA is becoming a force to reckon with. According to Nakahodo, the growth of NewSpace will depend on and contribute to local entrepreneurship ecosystems. “It’s a win-win situation where such linkages promote economic development, attract talent, and foster innovation with spillover impact beyond the space sector,” says the NYSA cofounder. The United States once led the way in space exploration, with New England institutions playing a major role in the nation’s success with programs like Apollo. Today, the U.S. faces competition from emerging space powers like India and China and new missions as NASA prepares to return to the moon. In time, the region might naturally link up with like-minded entrepreneurs in New York and the Mid-Atlantic states to create an even more robust center of space commerce. As a new space renaissance begins, a New England Space Alliance would be good for the region, the country, and the world.